The hotel provides spacious and luxurious guestrooms fully equipped with modern amenities. Hotel is located on an island across the Lhasa River, just a short driving distance to the Potala Palace. 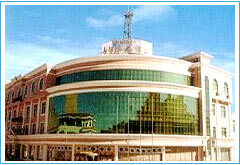 South Bayi Qiao , Zhonghe Int'l City Lhasa, Tibet PRC.